After having promised a surprise for "the end of September", Nintendo is leaving its delivery rather late. Just to recap, the relevant quote is taken from a post-E3 interview between Nintendo of America president Reggie Fils-Aime and Spike´s Gamehead. Here is the video again, the quote is 2:20 minutes into the interview. Fils-Aime: They´re still coming. We announced at E3 a new channel, right? The ´Check Mii Out´ channel. And we still have plans. Gamehead: By the end of the summer? Fils-Aime: But the surprise is coming. Gamehead: End of the summer? Fils-Aime: The surprise is coming. Fils-Aime:: By the end of September. Gamehead: Alright, we'll wait and see. Is it gonna be a good surprise? Fils-Aime: I think you'll like the surprise. Since Reggie´s cryptic comments, his colleague Perrin Kaplan hinted at more channels a month ago by announcing "a few more surprises like the Metroid Prime 3 Preview." For a comprehensive summary of all the hints regarding a ´last secret´, please read the commentary to this post. So where is this surprise then? At the time of posting, Nintendo of America has only about nine hours left to deliver a surprise in September. For Europe, the last hour of the month has almost begun and my living room is not yet filled with a pulsating, ambient blue light. Japan has already slipped into October hours ago. And what could it possibly be? In the post below, I have speculated that the surprise might tie in with Nintendo closing its forums in North America and Europe. It seems likely that it could be a Wii channel which would render official forums obsolete. In detail, it could be some kind of internet community like ´PlayStation Home´, possibly even in the form of ´Animal Crossing Wii´. The game was announced ages ago, but we have not seen a single screenshot of it. Either way, with Reggie making the most concrete promise yet of a ´last secret´ or surprise, it is impossible that nothing will materialize. They have clearly announced that something is in the pipeline and it may just be delayed. The September surprise seems to have been pushed back to October. Lastly, I can exclusively reveal that this has nothing to do with the surprise G4´s ´Attack of the Show´ had announced for this week and postponed. Hast du aber schön zusammengefasst! Bin persönlich auch sehr enttäuscht. In letzter Zeit hällt Nintendo kaum noch versprechen und Wii besitzer sind echt frustriert. 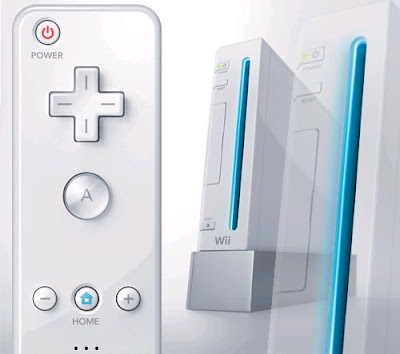 Viele Entwickler nutzen die Funktionen der Wii kaum aus und auch Nintendo unterstützt die Konsole nicht so stark wie erwartet. Neue Kanlä lassen auf sich warten und sogar ein Update des Mii-Kanals scheint bei Nintendo unvorstellbar zu sein. Jedenfalls sieht es ganz danach aus,wie du es ja schon gesagt hast, dass Nintendo irgendetwas am Start hat. Ich bleibe optimistisch und warte geduldig die nächsten Wochen ab. Surprized already happened! Surprize forums are gone. Could have been RE:UC, could be Mario Kart Wii Info, could have been delayed quite awhile due to Nintendo re-arranging themselves and relocating, or...or it could be Reggie playing with the Nintendo crowd and the same with Perrin. Expanding on from the Animal Crossing thing, what if it's a virtual world populated by Mii's? Sort of like Little Computer People (for those old enough to remember ;), but updated to the 21st century and so on. That would be big especially if the social thing is emphasised. So you can log on in the virtual Mii world, post messages and emails to people and meet them at Mii Cafes, Clubs, Bars & Restaurants. Maybe, they could utilise the microphone in the Wiimote for speaking to take place? "it could be some kind of internet community like ´PlayStation Home´, possibly even in the form of ´Animal Crossing Wii´." Its funny I thought the same thing. You could download it and have a huge online world populated by Wii owners! Memory in the Wii is divided into two separate pools, both of which can be directly addressed by both the GPU and CPU. This is a minor improvement over the GameCube, which had an auxiliary 16MB pool that could not be directly accessed by the CPU. The first memory pool is a 24MB 1T-SRAM chip, clocked at 486Mhz and with a reported bandwidth of 3.9GB/s. The second memory pool is a 64MB Samsung GDDR3 module, clocked at 500Mhz and with a bandwidth of about 4GB/s." Sounds alright to me. If you want to compare console specs for the current-gen, check CNET but bear in mind that Nintendo are the masters of efficiency. Last-gen, their console did not measure up to the Xbox in terms of specs, but I challenge you to name a single Xbox game that looked any better than the Gamecube standard. Runes of Magic is a Massively Multiplayer Online Role playing Game without monthly costs all kinds of Rom Gold and free to download. The premise is that you have played this game and understand the necessary Runes of Magic Gold in the Runes of Magic game. Perhaps the first monster I saw taken down in the demo can gain those varieties of Runes of Magic money. Characters choose one class; the important one is that we have to buy Rom Gold first. You can switch freely between the two classes, but you can only use primary abilities from your primary class, along with cheap Runes of Magic Gold, secondary abilities from your secondary class.